A dream was realised when Armitstead became world road race champion with a breathtaking triumph in America. The Olympic silver medallist won the gruelling 130km race by a wheel in Richmond, Virginia. Armitstead also claimed the British title - just 11 days after being taken to hospital following a crash at the Women's Tour. What she said: "All the failures I've had in the past, ups and downs, just makes it more special." Did you know? She warms up for a morning ride with a bowl of porridge, with berries, cinnamon and nuts, and a coffee. Sports Personality record: First nomination. Four cyclists have previously won the award - Tommy Simpson (1965), Sir Chris Hoy (2008), Mark Cavendish (2011) and Sir Bradley Wiggins (2012). Dan's opinion: cyclists have dominated SPOTY in recent years but I don't think Armitstead is well-known enough to be in contention here. England's footballers made history with a best-ever third placed finish at the Women's World Cup in Canada and Bronze was among the stars. The Manchester City defender was one of eight players shortlisted for the Golden Ball player of the tournament award. She scored twice as England won new fans - their semi-final attracting a peak audience of 2.4 million viewers back home, despite kicking off at midnight. What she said: "I'm not aiming to be the best right-back in the world, I'm just aiming to be the best player I can and if they happen to coincide then even better." Did you know? Bronze used to play the saxophone as a child and still has one at home. Sports Personality record: First nomination; first female footballer on shortlist. Dan's opinion: while I think Women's Football is still nowhere near high-profile enough for Bronze to win, it's great to see someone on the shortlist that many people will have actually heard of. Caps off a great year for Bronze. 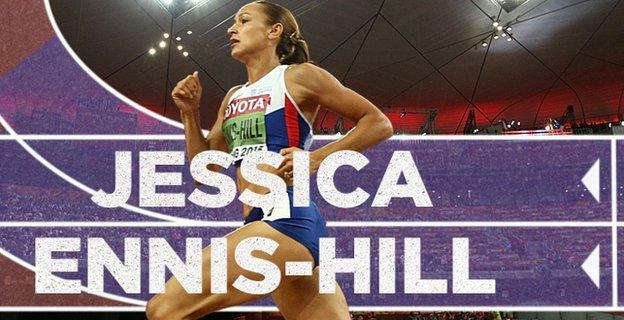 Headline writers called it the "mother of all comebacks" as Ennis-Hill won her second world heptathlon title in August 13 months after the birth of her son Reggie. She had only decided to compete in Beijing the previous month, having returned to training in the autumn of 2014. It was the first time in three years she had competed at a major championships in the event which consists of the 100m hurdles, high jump, shot put, 200m, long jump, javelin throw and 800m. What she said: "We spoke about the bronze medal and that it would be amazing for a silver medal, but we never spoke about gold. I kind of thought it was a little beyond me this year." Did you know? Ennis is a psychology graduate from the University of Sheffield. Sports Personality record: 2nd, 2012; 3rd 2010; 3rd 2009. Athletics has provided the Sports Personality winner on 17 occasions, with Kelly Holmes the last victor in 2004. Heptathlete Denise Lewis was second in 1998 and 2000. Dan's opinion: the deserved winner in my opinion, an incredible feat by a terrific lass. The first man to pull off a triple double - triumphing in two athletics events at two World Championships and an Olympics. 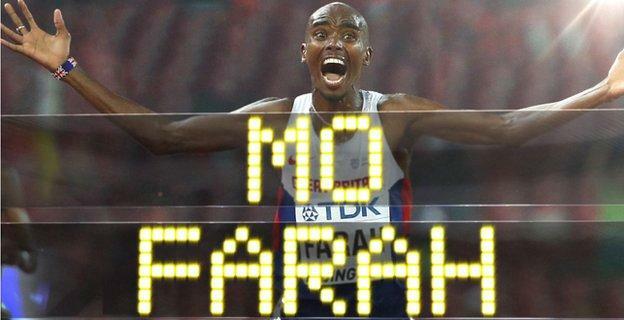 Farah won his third successive 5,000m world gold medal in Beijing in August, having already retained his 10,000m title. It completed a magnificent seven for the Somali-born runner - his seventh global track title in a row. What he said: "It's great to make history. I didn't feel great, my hammy (hamstring) was playing up a bit, but the medical team helped me through it." Did you know? Farah uses an underwater treadmill, which helps him to run extra miles without the same risk of injury as when running outside. Sports Personality record: 4th, 2013; 4th, 2012; 3rd, 2011. Of the 17 athletics winners, Brendan Foster was the last long-distance runner to triumph in 1974. Dan's opinion: Mo's public image may have suffered this year due to him being implicated in a wider drugs scandal, and also by featuring in those awful Quorn adverts, wherein he seems to have forgotten how to speak properly. Great athlete but doubtful he'll make the top three. 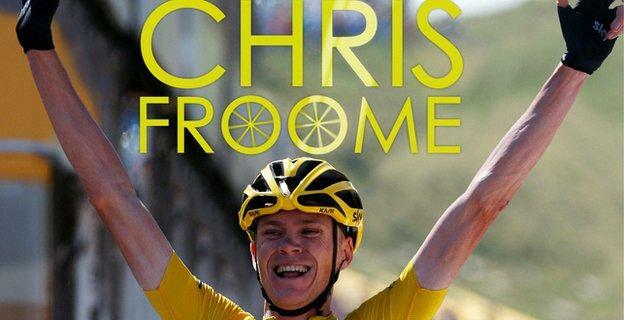 Four years ago, a British cyclist had never won the gruelling three-week Tour de France. Now Froome has done it twice. He took over where 2012 winner Sir Bradley Wiggins left off by triumphing a year later, and claimed a second victory in July. The Kenyan-born Team Sky rider showed great dignity as he shrugged off abuse, including being spat at and having urine thrown over him, to prevail again. What he said: "No sportsman should have to go through what we went through." Did you know? Froome won a charity bike race aged 13 despite being knocked over by his mother, who was driving alongside. Sports Personality record: 6th, 2013. Between 2008 and 2012, cycling had three of the five annual award winners. Dan's opinion: I think Froome would be a more deserving SPOTY winner than any of the previous cycling winners, but for some reason - despite the fact that he's far more likeable than Wiggins (and just as British, by the way) - the public just haven't taken to him. Would love to see him win it, but a podium finish would be delightful. In the back yard of a feted world champion who had not lost for 11 years, Manchester fighter Fury claimed one of boxing's biggest upsets. He became Britain's first world heavyweight champion for six years when outpointing Wladimir Klitschko in Dusseldorf. The self-styled 'Gypsy King' is unbeaten in 25 fights - 18 of those victories coming via knockout. What he said: "It is the start of a new era. I will be the most charismatic champion since Muhammad Ali." Did you know? 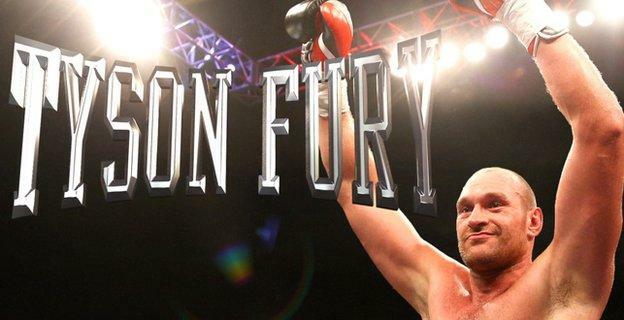 Fury was born three months premature in 1988, weighing in at 1lb - doctors described his chance of survival as slim. Sports Personality record: First nomination. Four boxers have been honoured - Henry Cooper (1967), Barry McGuigan (1985), Lennox Lewis (1999) and Joe Calzaghe (2007). Dan's opinion: he might be a good boxer, but there's a bible-bashing bigot where his 'personality' should be. I'd be horrified if he makes the podium. 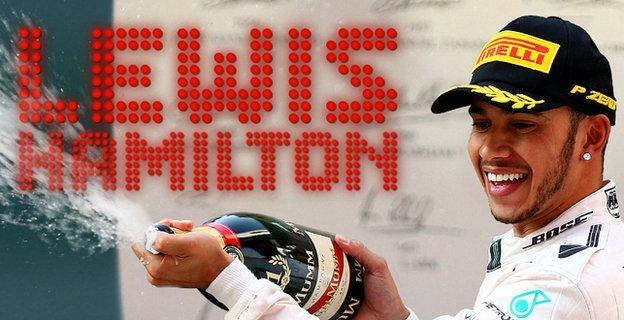 Hamilton won a third Formula 1 title to become only the second British man after Sir Jackie Stewart to achieve the feat. The driver, from Hertfordshire, edged out team-mate Nico Rosberg with a thrilling United States Grand Prix victory, his 10th of the campaign. Hamilton passed Ayrton Senna's mark of 41 career race wins, and joined his childhood hero by winning three championships. What he said: "Since I was a little boy, I have wanted to win three Formula 1 world titles - because that's the number that Ayrton Senna won." Did you know? Hamilton first appeared on the BBC's Blue Peter programme aged seven, and won three Blue Peter badges before being honoured with a gold one. Dan's opinion: no idea why the bookies didn't have him as favourite last time around. I'd be surprised if he wins this but he'll probably be fairly high up. The 2013 BBC Sports Personality helped make history by guiding Great Britain to their first Davis Cup victory for 79 years. Scot Murray was the team talisman, winning all 11 of his cup matches during 2015, and triumphing three times in more than eight hours on court in the final against Belgium in Ghent. A two-time major winner in his career, this year he reached the final of the Australian Open and the semi-finals of both Wimbledon and the French Open. What he said: "It's incredible that we managed to win this competition. I didn't know that would ever be possible. It's great." Did you know? One of Murray's dogs is called Maggie May, after a Rod Stewart song, and has its own Twitter account with nearly 30,000 followers. Sports Personality record: 1st, 2013; 3rd, 2012; 5th 2011; 7th, 2009; 6th, 2008; 8th, 2007. Also nominated 2005, 2006. Young Sports Personality 2004. Dan's opinion: I love Andy but I don't think he deserves to win this. Outstanding Davis Cup year, of course, and I love him for it, but it's a team sport and a Team of the Year win would suffice. Will probably finish in the top three. Gold in the 50m breaststroke meant Peaty was the first man to complete the 50m and 100m double at the World Swimming Championships. He then helped Great Britain win the mixed 4x100m medley relay gold in a world record time in Kazan. Peaty, who trains in Derby, has been tipped to be the first British man for 28 years to win Olympic swimming gold at Rio 2016. What he said: "We fought for every inch. We left it all on the battlefield"- after relay triumph. Did you know? Peaty was so scared of water as a young child that he would scream with terror if put in the bath. Sports Personality record: 10th, 2014. Two swimmers have been BBC Sports Personality of the Year - Ian Black (1958) and Anita Lonsbrough (1962). Dan's opinion: I don't know who this is. 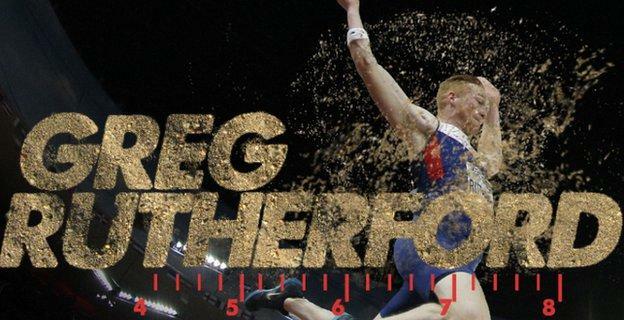 Rutherford's gold at the World Championships in Beijing cemented his place as current king of the long jump - adding to his Olympic, European and Commonwealth titles. Only four other Britons - Daley Thompson, Linford Christie, Sally Gunnell and Jonathan Edwards - have ever held all four titles at the same time. Rutherford felt ill earlier in the day, with dehydration and a headache, but jumped a stadium record 8.41m - beating his nearest rival by 17cm. What he said: "It's unbelievable. This was my best ever performance. The stresses this year, I can't even express to you." Did you know? Rutherford and his father laid a long jump runway and sandpit in his back garden to help with training. Dan's opinion: glad to see Greg prove those who considered his Olympic win a fluke. It's great to see all three "Super Saturday" Gold winners continue to triumph, but his lack of public profile will see him finish somewhere in the middle here. Sports Personality record: First nomination. Long jumper Mary Rand won in 1964, while triple jumper Jonathan Edwards took the 1995 award. Finished his rugby league career on a high, featuring in Leeds Rhinos' treble-securing Super League Grand Final win against Wigan. The former England captain spent nearly two decades with the Rhinos, making his debut at 16, and in 2015 became only the fourth rugby league player to pass 4,000 career points. At the age of 35, the stand-off has switched to union with Yorkshire Carnegie. What he said: "To top it off with the treble in the final year is unbelievable. It is something I will cherish forever." Did you know? His sporting hero growing up was former England footballer Gary Lineker. Sports Personality record: First nomination. A rugby league player has never featured in the top three of the main award, although Wigan (1994) and St Helens (2006) took team of the year honours. Dan's opinion: he's long been something of a legend to lots of people round my way, but I don't really follow Rugby League. Neither does anyone in the south, and since we don't have telephones in the north, I expect Super Kev to do quite poorly here. Denying team-mate Louis Smith by 0.01 points, he became the first man to win a gold for Great Britain at the World Gymnastics Championships. 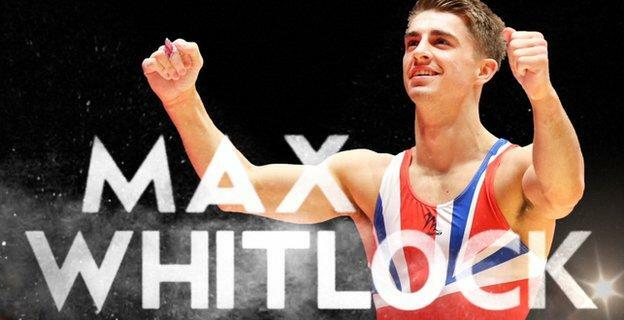 Whitlock, from Hemel Hempstead in Hertfordshire, triumphed in the pommel horse event in Glasgow. What he said: "It has been a tough year with glandular fever at the beginning of the year and this makes up for everything." Did you know? Whitlock did not try gymnastics until the age of seven when a friend at the local swimming club suggested it to him. Sports Personality record: 7th, 2014. A gymnast has never won the BBC award, although Beth Tweddle was fifth in 2009. Dan's opinion: if Smith had won he'd have had a chance, but not Max. Shame, because his personal medal haul is very impressive. I think Jess deserves to win it at least once in her life, and coming back from pregnancy to win the world title - something never done before - is no mean feat. 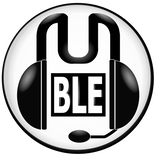 Last edited by THIS BAD BOY STEALS POINTS on Tue Dec 01, 2015 1:40 pm, edited 1 time in total. Your spoiler box is empty, btw. Genius trolling. Yeah I think Root's omission is pretty unforgivable. Yeah alright we got tonked in the ODI World Cup but he was a key component in regaining The Ashes and became the #1 ranked test batsman in the world in the process. As of yesterday he broke the record for most number of runs scored by an England player in a calendar year across all formats. Farah should win. What he’s accomplished is actually far and away more remarkable than any of the other candidates. A ‘triple double’ in a discipline as punishing as long-distance running is mind-blowing. A truly elite athlete. It should be him or Jess IMO and whomever misses out this year should get it next year provided they both get their golds. Saint of Killers wrote: Your spoiler box is empty, btw. Genius trolling. Struggled to care about this in recent years. 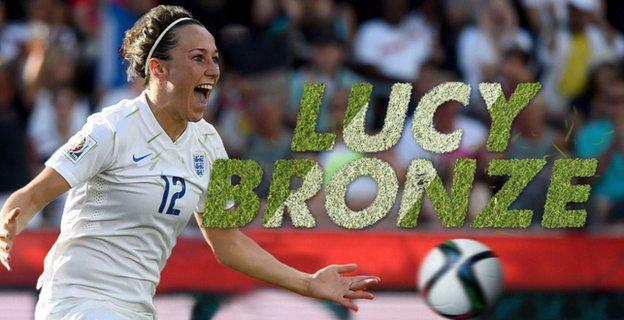 Never heard of Lucy Bronze, would've thought Joe Root was more deserving. Gotta tick those boxes though. Seinfeld always gets my vote. Really strong field, like 2012 where many could justifiably have won. Ennis for returning from pregnancy to win world title, Farah for being double awesome again, Rutherford for holding all the golds in long jump, Murray for winning a team sport by himself for Britain for the first time in 70 odd years, Hamilton for achieving a 3rd world title, Fury for upsetting the odds and becoming heavyweight champion of the world, Froome for bossing a second Tour de France. It is a strong field. Root should probably be there but he wouldn't deserve the win over some of them. My pick would probably be Farah, he should have won it by now. Not arsed who's had the best year. 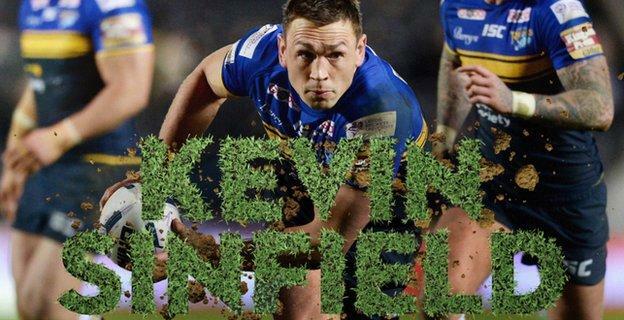 What matters is who would cause the greatest fume by winning - so Bronze or Sinfield. Bronze achieving third place in the World Cup seems appropriate. Hate to be another old man waving at cloud, but yeah BBC Sperts Porsonality of the Year means absolutely nothing to me these days (any event celebrating British sporting achievement that doesn't even mention Joe Root this year deserves to be rendered irrelevant). Also why has it become so massive? Used to be a nice, cosy thing in a studio. Last edited by Coreopsis on Tue Dec 01, 2015 5:08 pm, edited 1 time in total. Who the strawberry float is Joe Root? Randolph & Mortimer wrote: Who the strawberry float is Joe Root? You know, used to play for Arsenal. Some Gaelic footballer that no one gives a toss about. I must be on ignore. He's signing for Liverpool in January. Yep, the Klopp era is going to mean Liverpool games will be so goal packed that they will end up as cricket scores. 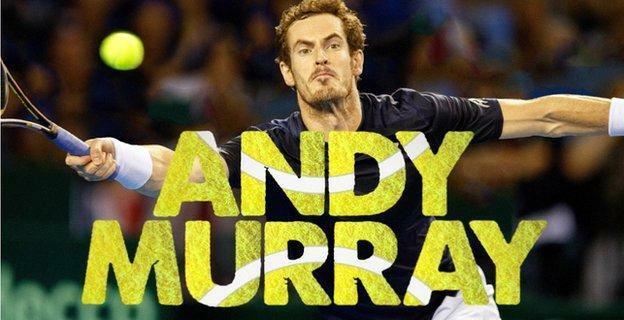 I want Murray or Ennis or Farah to win. I mean Murray won a team sport competition by himself. Never heard of Joe Root in my life so he can strawberry float off. I'd go for Ennis or Farah. Not sure what that homophobic banana split Tyson Fury is doing on that list.